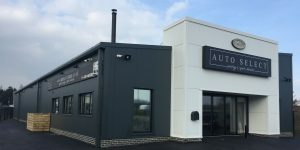 Fantastic service from James and Rob at Auto Select. I hired their VW California Ocean camper van for ten days, It is an emaculate and faultless vehicle. Great for a short holiday or to try before you buy. If I don't get my own, I would definitely hire from them again, great guys, thanks a lot, Tom.